Chain of Hope assists lower income pet owners with vet care and vet expenses. We’ve had everything from amputated legs and parvo to severe, infected wounds that have been left uncared for. 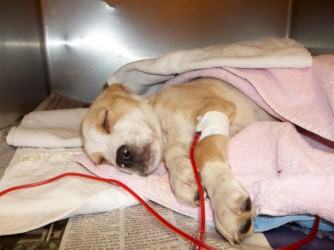 Chain of Hope has treated over a dozen parvo puppies this year, at an average of $600 a puppy-that’s over $7,000! We have treated 20 heart worm positive dogs, spending a total of $10,000 on heart worm treatments alone in the last year. We have provided surgery to pin multiple broken legs, broken jaws, as well as several eye surgeries this year alone on numerous dogs. We’ve treated mange, flea infestations, yeast infections, hematomas on ears, poisoning, bites from other dogs or wild animals, along with all of the parvo and heart worm treatments. Chain of Hope responds to a multitude of medical calls, sometimes several in one day. The owners have little or no money and often times no transportation, but they love their animals just as much as you and I do. 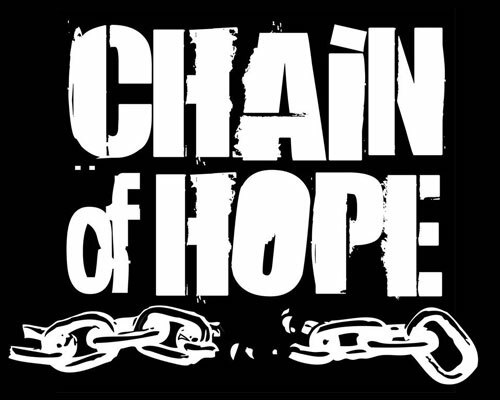 They need help and when Chain of Hope gets there, help has arrived! We are the only outreach group in this city that responds to medical calls every day of the week. We transport sick and injured animals to the vet free of charge. We pay for a diagnosis and will often times help the pet owner with further costs, depending on the individual situation. 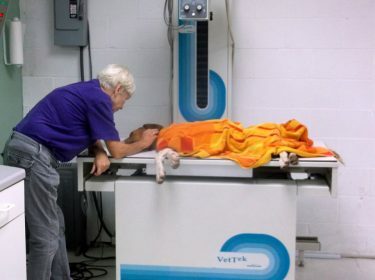 Another necessary medical service that Chain of Hope provides is humane euthanasia. When a struggling owner calls because their pet is suffering and they know that it’s time to let them go, Chain of Hope will go to the house, pick up the dying animal and take it to our vet for humane euthanasia. We stay with the animal the entire time and comfort them. We are extremely compassionate and respectful. There is no need for anyone to have to sit and watch their animal die in their living room, often times after suffering for several days. 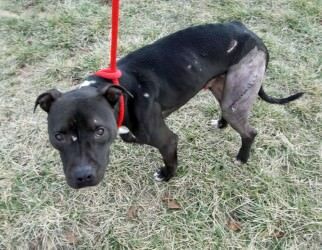 Chain of Hope is here to relieve this suffering and comfort the pet and the owner.